Today’s strong consumer demand for sustainable products can help suppliers and retailers stand out in the crowded business-to-consumer (B2C) marketplace. Why do consumers buy sustainable products? To feel good–about their purchase, about their contribution to the industry, about themselves. Consumers feel the pride of ownership from buying products that they believe make the world a better place.The business case for sustainability blends altruism with capitalism. According to Nielsen, consumer brands that demonstrate a commitment to sustainability outperform those that don’t (4% global growth vs. less than 1%). In addition, two-thirds (66%) of consumers are willing to pay more for sustainable brands (up from 55% in 2014). Millennials and Generation Z (ages 34 and under) are the most passionate supporters of sustainable products.1Nielsen. The Sustainability Imperative: New insights on consumer expectations. October 2015. The data proves sustainability and profitability are not mutually exclusive, which is a win for companies. And consumers also feel the pride of ownership from buying products that they believe make the world a better place, which is a win for them, too. The following retailers take sustainability seriously, embedding it into their product sourcing and operational processes. Whole Foods Market: Despite the grocery sector’s low margins, Whole Foods attracts a significant segment of consumers willing to pay more for responsible, organic and natural products. Nearly one-third (30%) of Whole Foods’ sales are organic, more than any other national retailer. 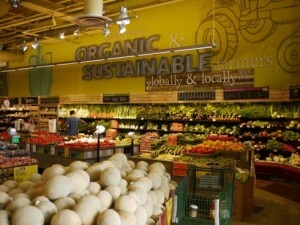 Also, it was the first national supermarket to have its retail operation be certified organic.2Williams, E. Freya. 9 green giants: Billion-dollar businesses that are sustainable. Fortune. August 27, 2015. Target: In 2015, the retailer introduced “Made to Matter – Handpicked by Target,” a collection of 16 leading natural, organic, and sustainable brands.3Gettler, Leon. Green MashUP: 7 trends transforming retail sustainability. TheFifthEstate.com.au. February 17, 2015. Within the naturals and organics category, Target’s sales grew 17% in 2014, four times faster than its total grocery sales.4Winston, Andrew. How Target is Taking Sustainable Products Mainstream. Harvard Business Review. August 4, 2015. To source sustainable products, Target built its own Sustainable Product Standard to measure such criteria as toxicity and recyclability.5Winston, Andrew. How Target is Taking Sustainable Products Mainstream. Harvard Business Review. August 4, 2015. Target also installs solar panels on rooftops of some of their stores to supply 15% to 30% of a store’s power needs.6Leuders, Allison. How Target Targets Sustainability Building Operations. Earth911. February 17, 2016. Walmart: To champion sustainable products, the world’s second-largest retailer now showcases 3,000 products bearing the label “Made by a Sustainability Leader” on its e-commerce website.7Winston, Andrew. Can Walmart Get Us to Buy Sustainable Products? Harvard Business Review. February 24, 2015. Walmart drives sustainable practices across its supply chain, encouraging suppliers to grow food with less fertilizer, produce less packaging and manage fisheries better.8Gunther, Mark. Walmart is slapping itself on the back for sustainability but it still has a way to go. The Guardian. November 18, 2015. Fortune magazine recently named Walmart No. 4 on a corporate “Change the World” list, due to the massive scale of Walmart’s sustainability efforts, including on-site renewable energy generation.9Hepler, Lauren. 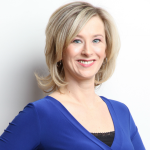 Walmart shuffles sustainability leadership, taps new SVP. GreenBiz.com, October 8, 2015. Retailers aren’t the only ones winning; suppliers of all sizes benefit from growing demand for sustainable products. For instance, CPG giant Unilever has committed to doubling its sales while halving its environmental footprint by 2020. This aggressive strategy includes sourcing 100% of its agricultural feedstocks from sustainable agriculture.10Williams, E. Freya. 9 green giants: Billion-dollar businesses that are sustainable. Fortune. August 27, 2015. Among smaller companies, Forbes named Colorado-based New Belgium Brewing one of the best small companies in America in part for its progressive commitment to sustainability. The award-winning brewery produces 18% of its electricity on-site.11Burlingham, Bo. The Best Small Companies In America, 2016. Forbes. January 27, 2016. 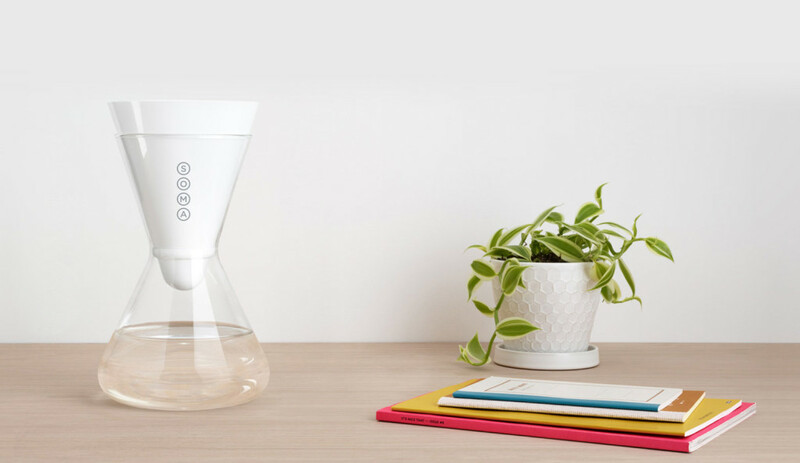 Sustainable suppliers: Soma Water features plant-based water filters. Focus on Millennials: Consumers under the age of 34 (Millennials and Gen Z) are the most enthusiastic consumers of sustainable products. These social media-savvy shoppers are also influential among their friends and family, so focus on delighting these young cohorts to earn positive word of mouth and brand loyalty. Prove you’re a force for social good: To capture retailers’ attention, prove how your products align with their aggressive goals for environmental and ethical change. To capture consumers’ hearts and wallets, clearly show your products are organic, natural, or environmentally friendly. Add marketing muscle: Connect your messaging with causes consumers care about, and that also align with your brand. Share your messaging across all media, including your product labels, website, social media and PR efforts. To boost brand awareness, trust, and sales growth, demonstrate your company’s sustainability leadership. If you can make consumers feel good about choosing your socially-conscious brand and products, you will gain an enviable competitive advantage. 1. ↑ Nielsen. The Sustainability Imperative: New insights on consumer expectations. October 2015. 2, 10. ↑ Williams, E. Freya. 9 green giants: Billion-dollar businesses that are sustainable. Fortune. August 27, 2015. 3. ↑ Gettler, Leon. Green MashUP: 7 trends transforming retail sustainability. TheFifthEstate.com.au. February 17, 2015. 4, 5. ↑ Winston, Andrew. How Target is Taking Sustainable Products Mainstream. Harvard Business Review. August 4, 2015. 6. ↑ Leuders, Allison. How Target Targets Sustainability Building Operations. Earth911. February 17, 2016. 7. ↑ Winston, Andrew. Can Walmart Get Us to Buy Sustainable Products? Harvard Business Review. February 24, 2015. 8. ↑ Gunther, Mark. Walmart is slapping itself on the back for sustainability but it still has a way to go. The Guardian. November 18, 2015. 9. ↑ Hepler, Lauren. Walmart shuffles sustainability leadership, taps new SVP. GreenBiz.com, October 8, 2015. 11. ↑ Burlingham, Bo. The Best Small Companies In America, 2016. Forbes. January 27, 2016. Great Post… Customers Satisfaction is the most important factor.